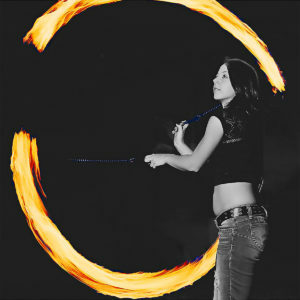 Fire spinning is pretty self-explanatory…you spin fire! With our great fire-spinning toys you’ll be a pro in no time. 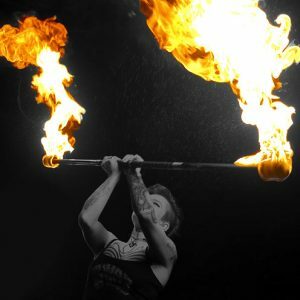 Once you’ve perfected the art of spinning fabric poi and our range of wooden devilsticks, the next obvious step is the realm of fire! Spinning the ignited wicks through the air adds more oxygen, so the fuel burns brighter and bigger. Fire spinning has long been a staple of festival and circus performance routines, and you will also regularly see fire spinners in your local park. If you want to progress to night-time play but are a little unsure of the fire element, then have a look at our fantastic LED staffs and LED poi for a good starting point. 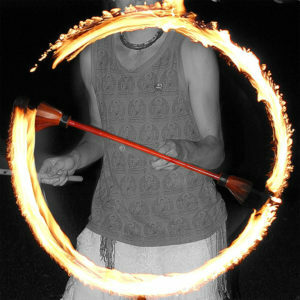 Flames N Games Classic Fire Poi Set from – 65mm Wicks + Free Bag!